lines, and good quality granite. 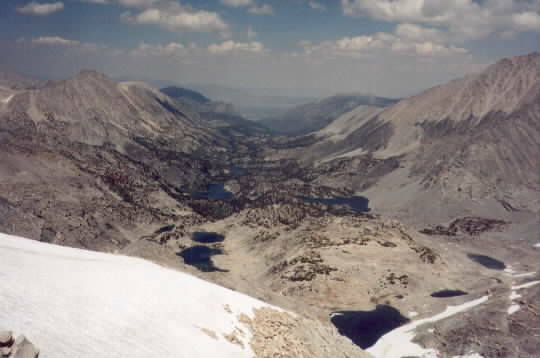 Little Lakes Valley from summit. 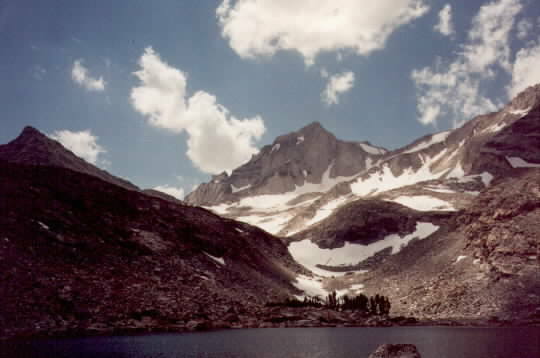 Dade Lake in center right foreground. and Mt. Gabb. The smoke is from a forest fire. 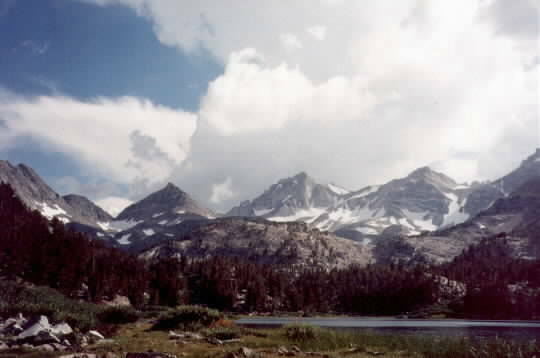 Merriam Peak, Royce Peak, and Feather Peak. Mt. Dade, and Mt. 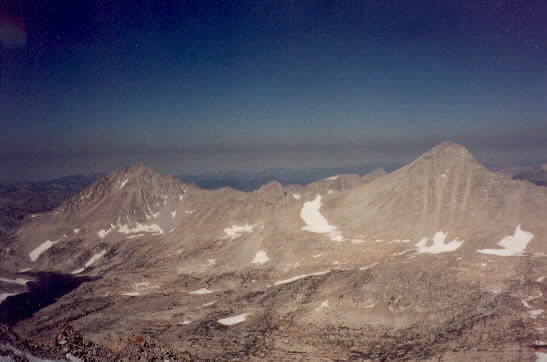 Abbot 13,715'.